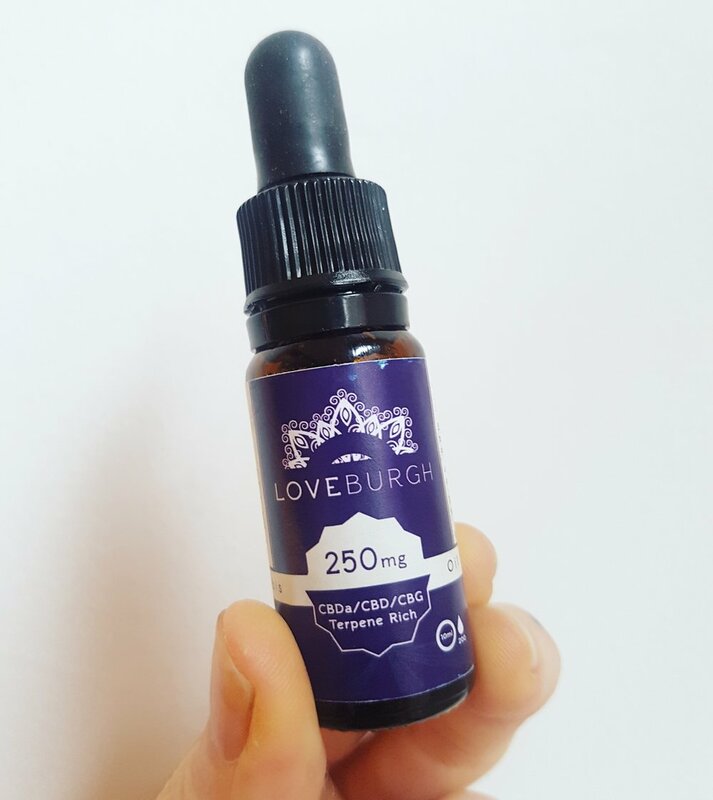 Our CBD oils and vape terpene infusions are supplied by Edinburgh based company Loveburgh; who source all their hemp from Dutch farms. From the Loveburgh website - "Hemp is an annual plant which grows best in most climates and temperatures (not as well in really wet ones). The plant is used for a wide variety of trades from industrial goods, plastics and clothing to foods and fantastic food-supplements, like ours! Hemp can be grown without the use of fertilisers or pesticides and uses very little water in the overall crop – especially when compared to other plants like cotton! Not only is hemp really nutritious – making it perfect for our consumption – it’s easy on the soil and breaths in almost 4 times as much co2 as trees making it a fantastic solution to the many problems the planet and her inhabitants face." So far, so good. Visit their website >>> here, and read that CBD oil is made from the Hemp plant which is non-psychoactive, and therefore won't get you high (sorry). "The endo-cannabinoid system (ECS) is an intracellular system, a complex network of receptors which maintain homeostasis (balance) and promote optimal bodily functions and performance which extends to sleep regulation, immune support, appetite and even inflammation responses, mood and memory. The ECS primarily functions through two key recepetors which are the CB1 and CB2 receptors. CB1 is found predominantly in the brain and central nervous system and the CB2 is centrered around the immune and peripheral nervous systems and while both receptors perform very different tasks, they are both responsible in maintaining homeostasis. The ECS was discovered by Israeli Dr. Raphael Mechoulam in the 90s, who was also the lead researcher identifying THC and many other cannabinoids. He determined that the CBD1 and CB2 receptors are in fact programmed to connect with external cannabinoids, in particular Cannabidiol (CBD) from the hemp plant and other cannabis varieties. "All cannabinoids, including CBD, attach themselves to certain receptors in the body to produce their effects. It used to be thought that CBD acts on these CB2 receptors, but it appears now that CBD does not act on either receptor directly. Instead, it seems to influence the body to use more of its own cannabinoids." In a hempshell folks; the body has it's own endo-cannabinoid system, and taking CBD can encourage it to use more of it's own cannabinoids, which in turn can potentially heal a multitude of ailments. The key on dosage seems to be to start slow and small! Gaging your body's reaction first, as every person's endo-cannabinoid system is different. For a deeper guide to dosages check out Marijuana Break's post >>> here. We stock different strengths of CBD oil (full spectrum and rapid absorb) and vapes. Call into our shop to have a look and feel free to ask us for more information. You can also call us on 0161 832 1477 or email mccallsorganics@gmail.com. We also now stock these delicious Hemp Teas; also from Loveburgh. No artificial colours, flavourings or preservatives are used, these are 100% natural and organic. Oh! And (last thing I promise! ); interesting read on Dr Axe's website >>> here and...a review of recent studies showing promising outcomes from using CBD oil to treat Anxiety on NPR's website >>> here.